Healthcare professionals are expected and legally required to provide medical treatment that meets a certain standard of care. The standard of care to be followed by healthcare professionals depends on the area of medicine in question but essentially, the healthcare professional has to provide treatment in a manner that is consistent with the generally accepted standards in that particular field of medicine. If the healthcare professional or provider falls below the generally accepted standards and the patient is injured or dies due to these failures or mistakes, then they can be held liable. Medical malpractice cases are some of the most complex and challenging civil cases. These cases are particularly challenging because they involve complicated medical terms and concepts that are typically only understood by physicians and other healthcare professionals. Also, in order to establish that a healthcare provider breached or violated the applicable standard of care, the attorneys for the victim are required to present expert testimony from a similarly situated healthcare professional. For instance, if the claim is that a pediatrician violated the standard of care in treating a child, then a pediatrician has to testify that the treating pediatrician violated the applicable standard of care and how the standard was violated. A nurse or orthopedic doctor would not be allowed to testify that a pediatrician breached the applicable standards. With over 100 years of combined practice experience, the attorneys at Hollis Wright law firm have represented many victims of medical malpractice. Due to the complexities and difficulties in pursuing a medical malpractice case in Alabama, any victim should be very careful and thorough when selecting an attorney. It is advisable to only select attorneys that possess significant medical malpractice experience and have the resources and staff to handle the case. The healthcare provider(s) will have a team of attorneys hired by their medical malpractice insurance carrier that will be primed and ready to defend the claim. 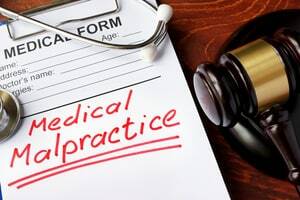 The Birmingham, Alabama medical malpractice attorneys at Hollis Wright law firm are ready to offer you the personal attention your case deserves and requires in order to determine if you were a victim of medical malpractice. Our law firm has access to experts all over the country that can assist us in evaluating any kind of medical malpractice claim in order to determine the viability of the case. 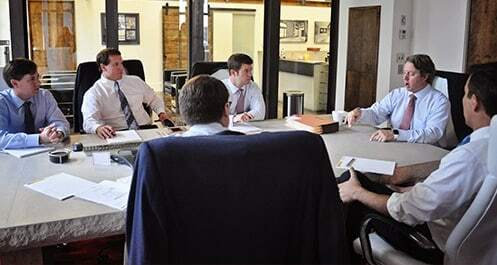 Oftentimes, victims are reluctant to seek out legal counsel regarding medical malpractice. People naturally trust their physician and other healthcare providers and inherently don’t want to believe that they made a mistake. Sometimes, even the best physicians and nurses make mistakes and breach the applicable standard of care. If a healthcare professional has failed to provide proper care and has caused an injury or the death of loved one, then you deserve to be compensated for these injuries and should not feel bad or guilty for exercising your legal right to seek redress. Call the Birmingham, Alabama medical malpractice attorneys at Hollis Wright law firm, toll-free 844-529-8255, or contact the firm online to schedule your free initial consultation. Attorneys at Hollis Wright handle all injury cases on a contingency fee basis, meaning that clients are never charged a legal fee unless they are compensated for their injuries. Evening and weekend appointments are available in addition to standard office hours. Call today to learn more.